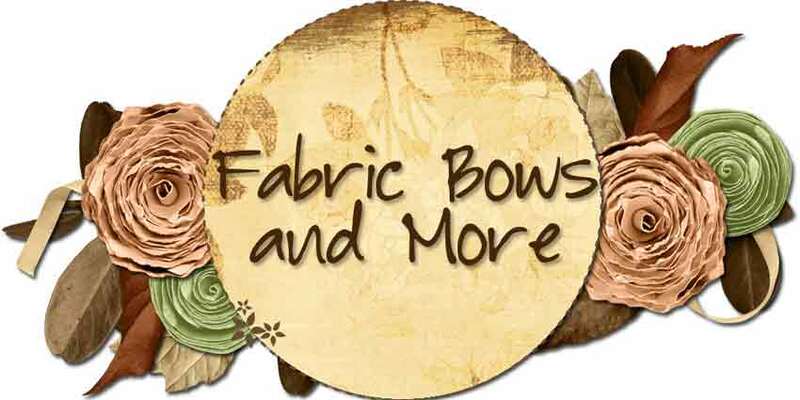 Welcome to Fabric Bows and More. I have compiled several bow, flower, headband tutorials together in one place. Most of the tutorials I have found online searching for things to make. I hope you will find a few that you like whether it be for your daughters or yourself. Don't forget to click on the "Older Posts" at the bottom over to the right to see more samples. Click Here to see the tutorial on how to make this snowflake bow. Click Here to see the tutorial on how to make this bow. Click Here to see the tutorial on how to make this flower. Click Here to see the tutorial on how to make this covered snap clip. Click Here to see the tutorial on how to use these silly grips. I found this tutorial on Pinterest but could not find where it originated from. Click Here to see the tutorial on how to make this pinwheel hair bow. Click Here to see the tutorial on how to make these bows.